. bending, shear, tensile stresses.
. the criterion of rupture according to Tsai-Wu. This complete criterion takes into account working stresses of shearing and variable axial stresses according to the direction and of the direction (traction/compression). This criterion makes it possible to check formed structures of orthotropic materials. 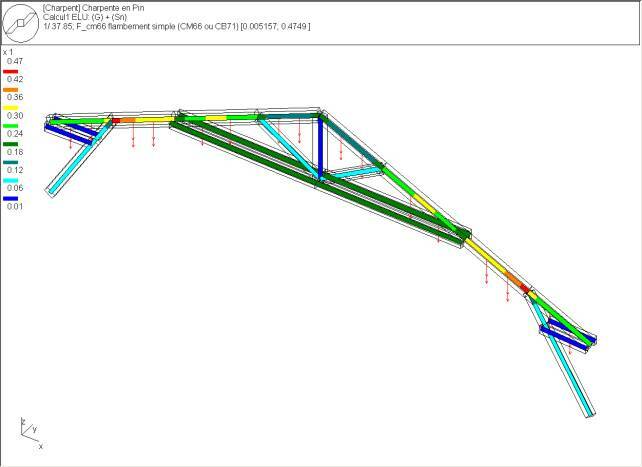 ICAB Force/CM+ makes it possible to optimize the sections used in a steel construction. You obtain the least expensive structure which is in conformity with the technical schedule of conditions. You do not have thus to worry you initial dimensioning: after optimization, your structure will be most economic while being technically reliable. 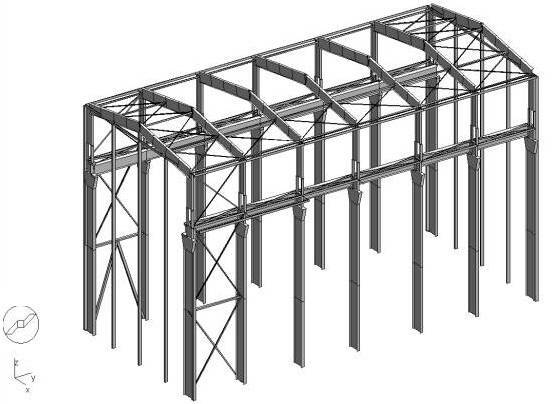 The research of the best sections is obtained starting from a library of sections of beams standards. You can also create and modify your own library. ICAB Force/CM and ICAB Force/CM+ are functions which supplement ICAB Force.